Let’s kick off Fosdem with some interesting Kubernetes talks! Running databases in Kubernetes attracts a lot of attention today. Orсhestration of MySQL on Kubernetes is no way a straightforward process. There are several good MySQL based solutions in the open source world, made by Oracle, Presslabs, and Percona. Having common base, they differ in self-healing capabilities, multimaster and backup/restore support, etc. So let’s make a fair comparison to figure out the pros and cons of their current state. 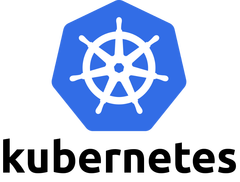 Kubernetes makes it easy to run cloud-native apps in a portable and resilient way. But what if something fails? How to find out what caused a CrashLoopBackOff error? What can be done about a service that is not reachable? How to debug a stateful application? How to do fault injection in a microservices setup? In this talk, we’ll discuss the most common reasons an app in Kubernetes fails and how to address them. Apache Spark is one of the most popular big data tools, and starting last year has had integrated support for running on Kubernetes. This talk will introduce some of the use cases of Apache Spark quickly (machine learning, ETL, etc.) and then look at the current cluster managers Spark runs on and their limitations. Most of the focus will be around running non-Java code, and the challenges associated with dependencies along with general challenges like scale-up & down. It’s not all sunshine and roses though, I will talk about some of the limitations of our current approach and the work being done to improve this. Last talk will be announced soon! Drinks and food are offered by Redhat.